The next PHSI lecture is on Thursday 23 March at 8.00pm in Fitzroy Presbyterian Church, 77 University Street, Belfast BT7 1HL, when the Very Rev Dr Godfrey Brown will speak on ‘The Original Secession Church in Ireland, 1841-1956’. 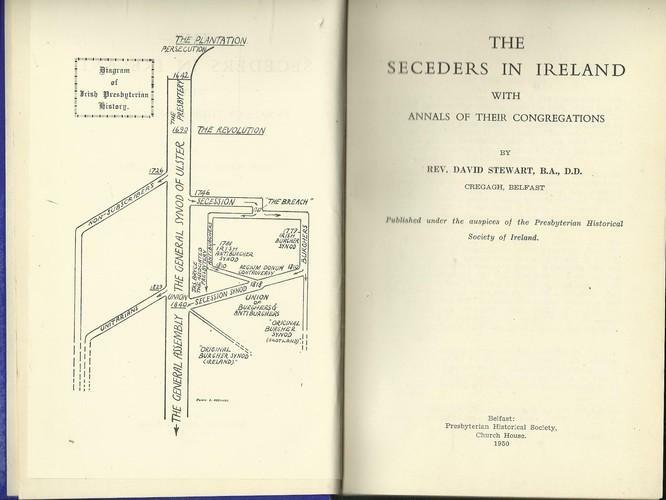 When the Seceders joined with the General Synod of Ulster in 1840 to form the General Assembly of the Presbyterian Church in Ireland some Seceder congregations did not join the union. This lecture will tell the story of this group of Seceders. Everyone is welcome. Refreshments afterwards. The lecture will be preceded by the Society's Annual General Meeting at 7.15pm.